Do yourself a favor and go purchase these. Now. Cute and Comfortable. Do you love TOMS or are you avoiding this fashion trend? 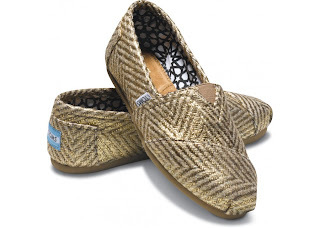 i was anti toms when they first came out b/c let's face it - they aren't the most attractive shoes in the world. BUT whenever i went to nyc i always saw girls rocking them, and they grew on me. i bought a pair when i was up there and they are seriously comfy - and perfect for airport wear b/c they slip right off. not to mention the whole one for one. love!! I have yet to get a pair but I'm about to give in!